GoPro Video Quality Is Poor? [Solved] GoPro Video Looks Blurry/Grainy/Shaky or Sounds Noisy? How to Enhance the Bad Quality? 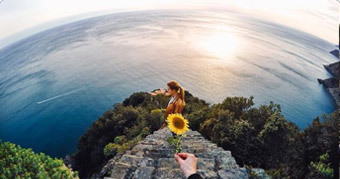 We often see crisp, bright and super vibrant GoPro videos online. But it's nothing rare for GoPro owners to capture some bad quality videos with the camera - grainy, blurry with pixelated, jittery, noisy and the like. So how to improve those poor-quality GoPro videos? Is there any easy-to-handle GoPro video quality enhancer to recommend for post-production? Let's just find the answers below. 1. The video is born a terrible one. 2. The video only looks poor in quality when playback on screen or uploading online. This post will mainly talk about how to enhance inherently bad quality video captured by GoPro, say for the first reason. If any stunning GoPro video only "becomes" a bad one for incompetent playback hardware/software or exporting/uploading quality reduction reason, please check how to fix GoPro playback errors and recommended YouTube video upload settings. Also, you're suggested to update your camera to the latest version with enhanced shooting performance. Your GoPro footages have bad quality and looks blurry/grainy? - Clear up GoPro blurry (with pixelated) video, adjusat and correct color manually. - Deshake GoPro jerky shaky video by adjusting related parameters accordingly. - Reduce bothersome (wind) noise within a defined range between low and high pass. 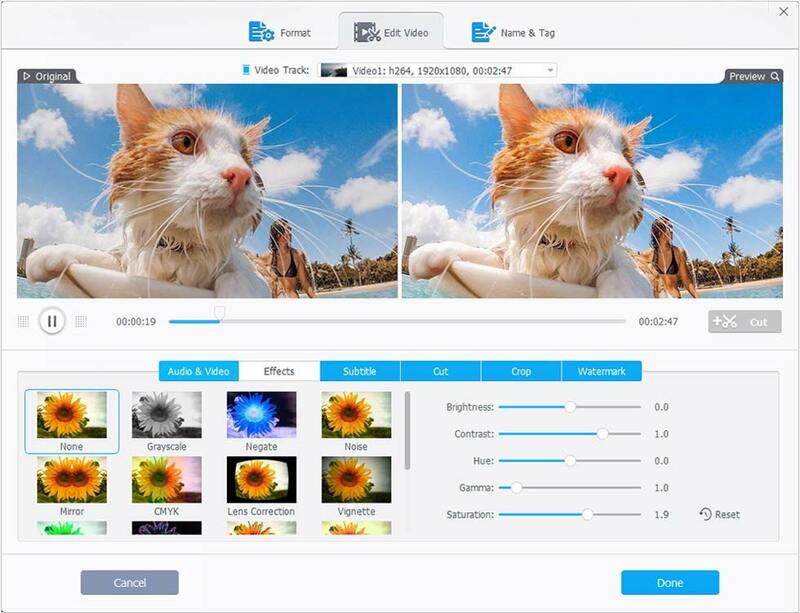 - Add filter effect, trim, crop, cut video; adjust video bitrate/frame rate/resolution etc. - Compatible well with newer Windows and macOS versions, Win 10 and Mojave included. VideoProc: One-Stop Easy Solution to Process Media Files with Turbo Fast Speed! 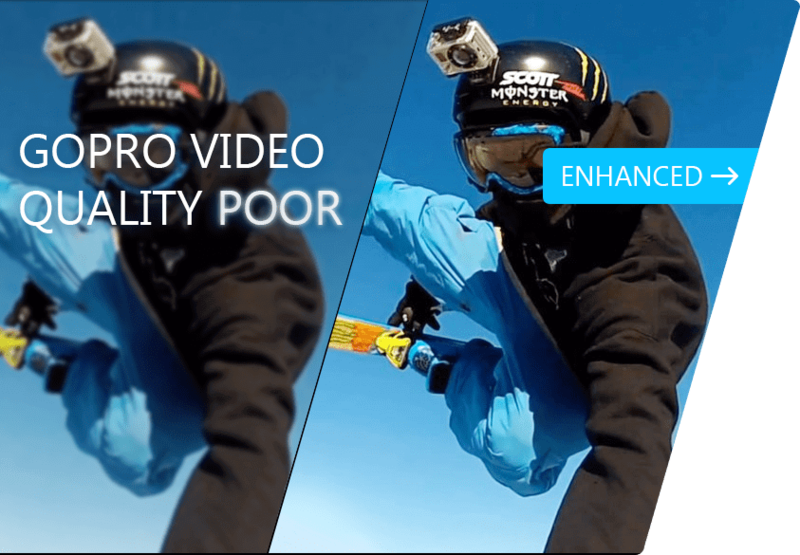 Since VideoProc, a feature-laden video quality enhancer, delivers many ways to make poor GoPro videos look good, the following guide will show the methods one by one. Please free download the software on your computer first, Windows or Mac, and then install it by following the prompts. STEP1. Open VideoProc, navigate to "Video" panel, and load source GoPro video from computer by clicking "+Video" to load or use drag-and-drop. STEP2. Choose an output format at the bottom Popular/Video/Device menus or from "Target Format" list, and double click the output tab to make sure that Quality is at the high level. In theory, 2-pass encoding contributes to better quality. Note: that you can keep it the same with input video or change to any other one you prefer. STEP3. Click "Effect" button labeled in magic wand icon to move up to "Edit Video" section. You can also access it by clicking "Option (codec)" sawtooth icon -> "Edit Video". STEP4. Preview and apply other filter effect into video. Also, it's available to adjust Saturation, Hue, Gamma, Brightness video parameters to get more nature video. Saturation refers to the color intensity of a video or image. Increasing saturation value will make the colors more present and noticeable. As the name shows, it describes the overall lightness or darkness of your video. Ajusting it to a specified amount makes video better. As the separation between the darkest and brightest areas of video image, you can increase it value to make video shadows darker and highlights brighter. The visible light reflected from or transmitted through an object. Saturation is the intensity of hue, and brightness a degree of black white mixed with a given hue. A numerical parameter to describe the relationship between pixel value and luminance between a pixel's numerical value and its actual luminance. STEP5. Check "Use High Quality Engine" or "Deinterlacing" or both of them, then click "RUN" to get the video quality improving processing started. Unclean lense, insufficient light, lower shutter or higher ISO value may have GoPro create unwanted fuzzy video. 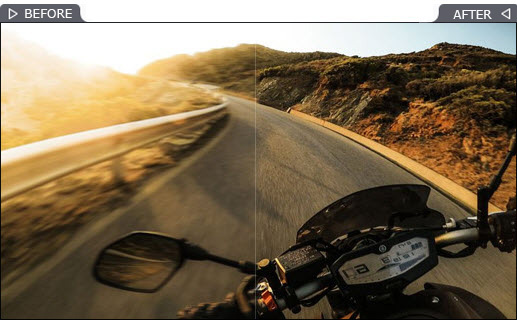 To correct GoPro blurry video for better viewing experience, you can follow the same steps as WAY 1 above, but to employ sharpen video effect, increase contrast and brightness at STEP4. With in-camera stabilization or not, GoPro machine still produces many shaking video when shooting rough outdoor extreme adventures. The video quality enhancer software, VideoProc, with a standalone GoPro Deshake feature, helps reduce the shakiness in clicks. STEP1. 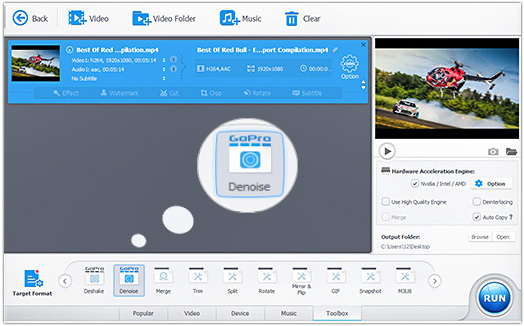 Launch VideoProc, and go to Video control to input original GoPro video by clicking "+Video" to choose or directly dragging it into software interface. STEP2. No need to define output profile here. Head straight to Toolbox section and double click the first "Deshake" icon to pop up a video stabilization control. STEP3. Set shakiness, accuracy, step size and minimum contrast values to correct GoPro bad shaky video in motions flexibly. STEP4. Go back to the main UI and tap "RUN" with "Use High Quality Engine"/"Deinterlacing" ticked to improve GoPro shaky video quality in a flash. If your GoPro outdoor video comes across irritating background noise, especially the heavy and continuous wind noise, utilizing denoising feature of VideoProc to reduce or remove the redundant audio with ease. STEP1. Drag and import noisy GoPro video into VideoPro's video (processing) board. STEP2. Go up to Toolbox at the bottom area, and double click "GoPro Denoise" option to represent a "Denoise" popup dialog. STEP3. Keep the default low pass and high pass values if you have no idea on how to set them. You can also customize another range of it to improve video quality better. STEP4. Click "Done" -> "RUN" to have VideoProc work like a shot. To ensure export high quality video, it's recommended to check "Use High Quality Engine" and "Deinterlacing". Alternatively, it's also a wise choice to lower audio volume if the noise is unobvious, or disable audio track completely and add attractive background music into video. Actually there're many general methods to enhance amateur-looking GoPro footage into pro-looking one, two of which have been mentioned above. And they are adding appealing visual filter effect and balancing video parameters (between brightness, contrast, hue, gamma and saturation) respectively. In addition to this, VideoProc can still improve GoPro video quality by other means. Downscale bad-looking video, like change video resolution from 4K to 1080p. Or upscale video to fit for the end playback screen, e.g., to 1080p to 4K for watching on 4K TV. Crop distorted video to get rid of the unwanted part. Trim or cut video to wipe out the bad quality fragment(s). 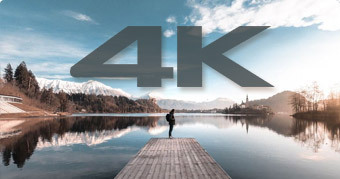 Upscale video to resolution of the end playback screen, for instance, to transfer 1080p to 4K for watching on 4K UHD TV. Quicken the video playback speed to have somewhat choppy video become smoother. Improper camera settings and adverse shooting environment are the main causes of GoPro bad video shooting. Before you get your GoPro to record, you'd better choose a suitable mode, field of view, with Protune on or off, and keep nice balance between IOS and shutter according to the real condition. Light is the most crucial part in photography, therefore, it's much easier to make pesky video under low light indoor or underwater circumstance than others. In this case, try your best to move your lense to light sources and shooting video at 24fps is better than at higher frame rates. To reduce shakiness and background noise as much as possible, GoPro has upgraded greatly by adopting efficient in-camera stabilization and 3-mic processing. But all GoPro owner know that they are just auxiliary functions, lagging far behind the external GoPro accessories, gimbal, rig, mouth, windslayer, just to name a few. A.J. McCann, started at Digiarty as a web editor and moved up to a tech writer later, focuses on giving all-around but lifestyle reviews & tips on hot gadgets, photography, multimedia post-production and related error solutions. Considering himself a master-of-none, he has a mania for daily reading covering a wide range of subjects. He also loves playing ball-games and practicing meditation in the leisure time. Learn what is it, how it works and how to remove it from GoPro video. How to fix Hero 6/5 audio issue when GoPro video audio out of sync? Which Performs Better on Cutting, Trimming GoPro Hero Videos?